Combining manufacturing methods from military, footwear and extreme outdoor industries, the Vertigo represents not only superior guitar protection, but a technological advancement in luggage design. The award-winning Top-Loading(TM) design of the Vertigo allows for easy access to the guitar while in a standing position (patents pending). 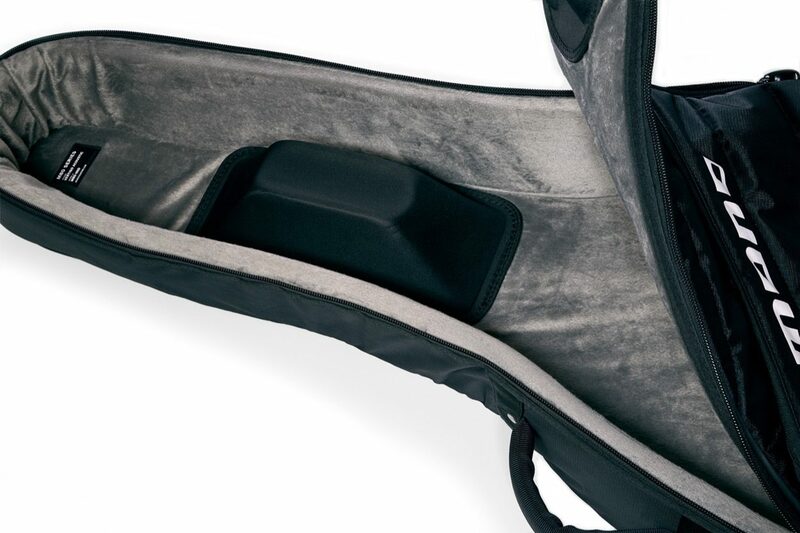 The Boot(TM) on the bottom uses sneaker technology to protect the guitar against vertical drops. The automatic Headlock(TM) grips the guitar inside suspending the headstock and neck during transit. The Vertigo is light, fast, sleek and rugged. 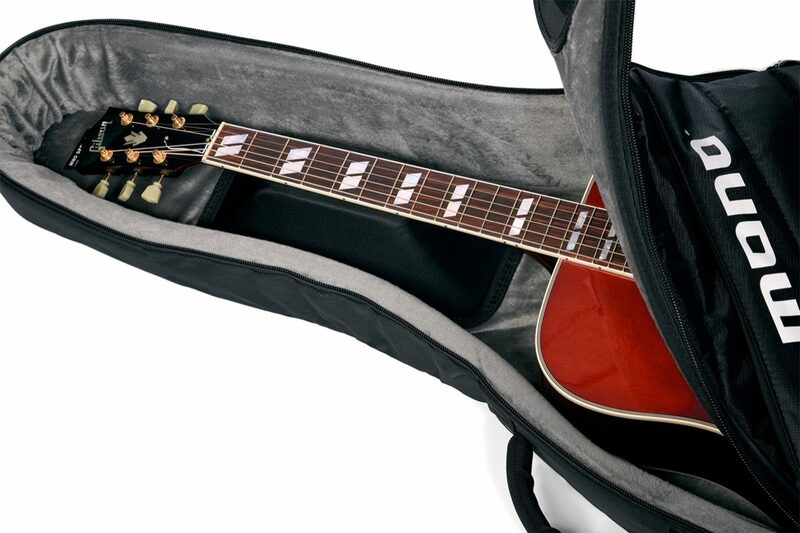 Thanks to some serious design, traveling with a guitar has never been this fun. - Top-Loading Design (patents pending). - Hybrid case design with ABS head and body impact panels. - Water-resistant Sharkskin shell with industrial rubber sole and piping. - The Boot (patents pending) custom molded rubber outsole. - Headlock neck suspension system.